It's definitely off topic, but a great memory all the same. Or maybe not--as it was a great way to spend the day outside, taking part in Michelle Obama's Let's Move movement. 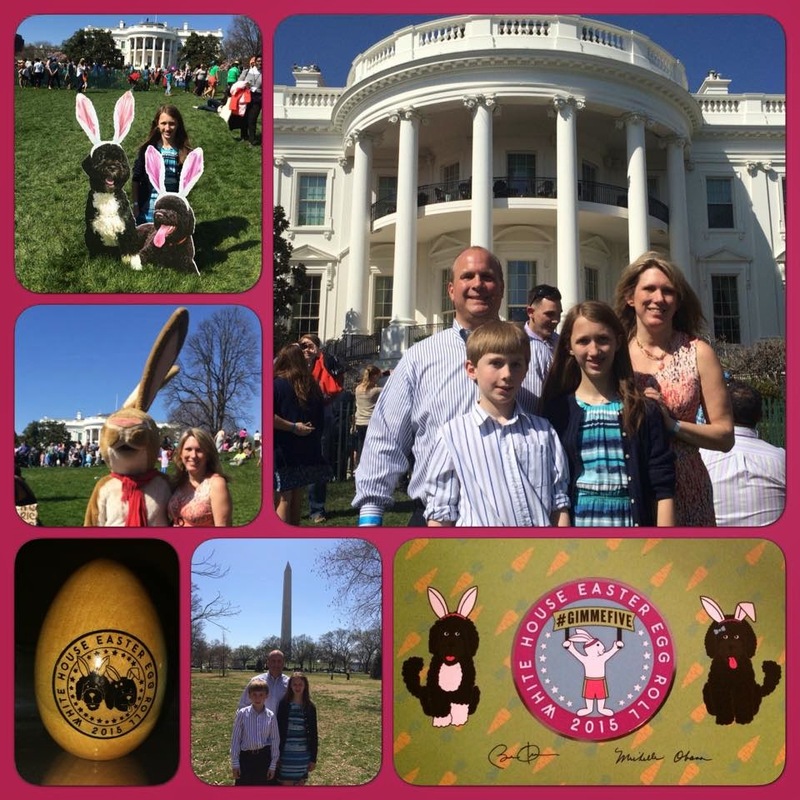 participate in the 137th White House Easter Egg Roll. Part of the beauty of living in the greater Baltimore-Washington corridor is that there's a lot of history all around. Add in a lot of opportunity. When this year's White House Easter Egg lottery "rolled" around, we, like many Americans, put in our name. And, like 35,000 people, got picked for one of the 5 daily 2-hour timed sessions to participate. For us, it was the 2:30--4:30 pm time slot, which made for the perfect opportunity this past Monday to leisurely ride the metro in and get where we needed to officially wait in line to get in. Unfortunately, we didn't see anyone famous or presidential, nor did we get to dance with Michelle Obama to "Uptown Funk.". Additionally, the kids were bummed to not see the First Pups Bo and Sunny (luckily though, they had the cardboard cutouts). But the day was beautiful and we couldn't ask for a greater way to be out in the day. We were doing our best to "do what Michelle Obama would do:" getting exercise in a #GimmeFive way, in the great outdoors. go to the Official White House's Easter Egg Roll page. check out PBS's photo gallery of past pics. White House Easter Egg Roll in Washington D.C.